In 2003, Catherine Hamilton was working as a full-time artist, with a focus on oil paintings. With two art degrees and a teaching stint at the prestigious Rhode Island School of Design to her name, Hamilton had found success exhibiting her work and teaching in New York City. Then, unexpectedly, she developed a severe allergy to the solvents in the oil paint she used, and her doctors insisted that she take a hiatus from both painting and teaching. After years of hard work and training, she was no longer physically able to do her job. To recover from the crushing loss of her career, Hamilton dug a pair of used binoculars out of her closet, an old gift from her father, and started birding. 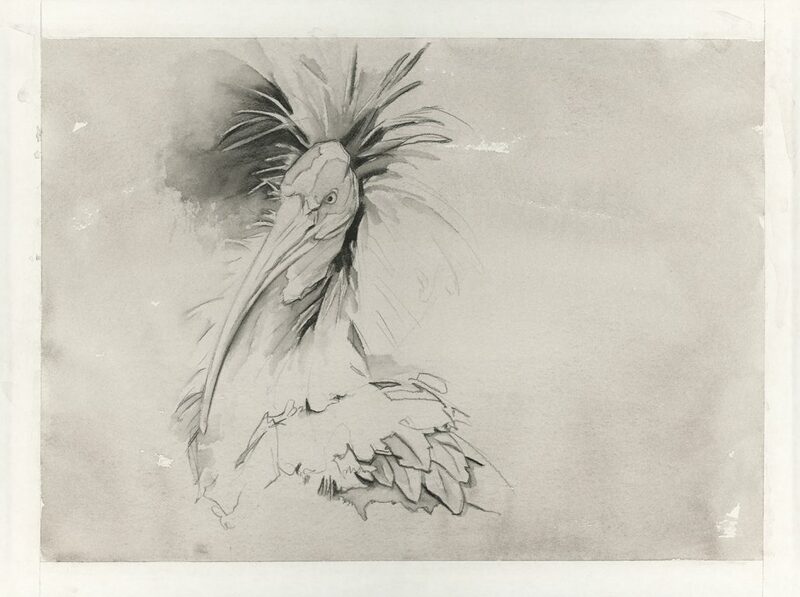 So began her metamorphosis into a world-renowned bird and nature artist. 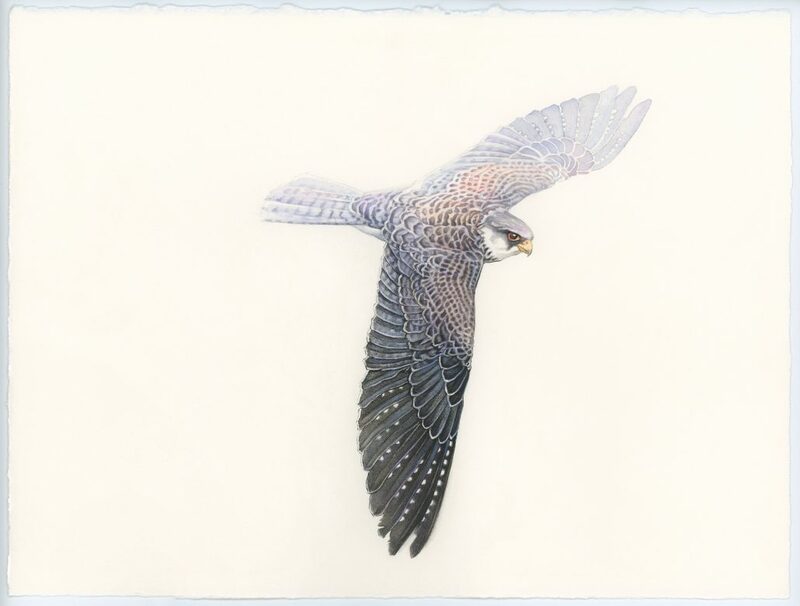 Hamilton had not birded much since her childhood, but with some time on her hands, she started walking around nature refuges and hunting down species along the east coast. The natural environment and peaceful concentration of birding turned out to be a healthy activity in a not-so-healthy period of her life. 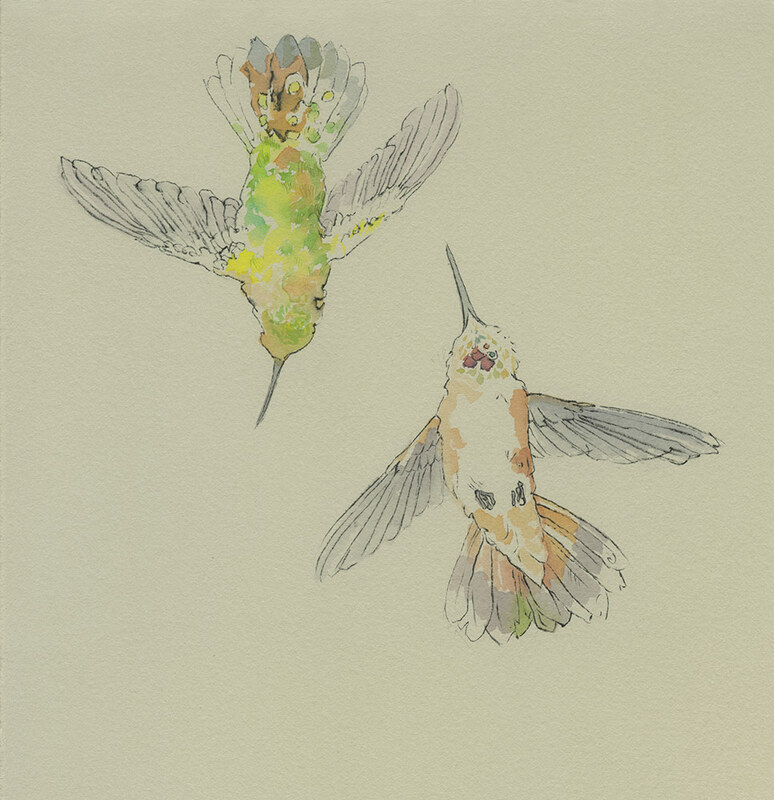 She found that chasing birds helped turn her attention outward and away from the self-centered perspective she had relied on to create her art. She was hooked. 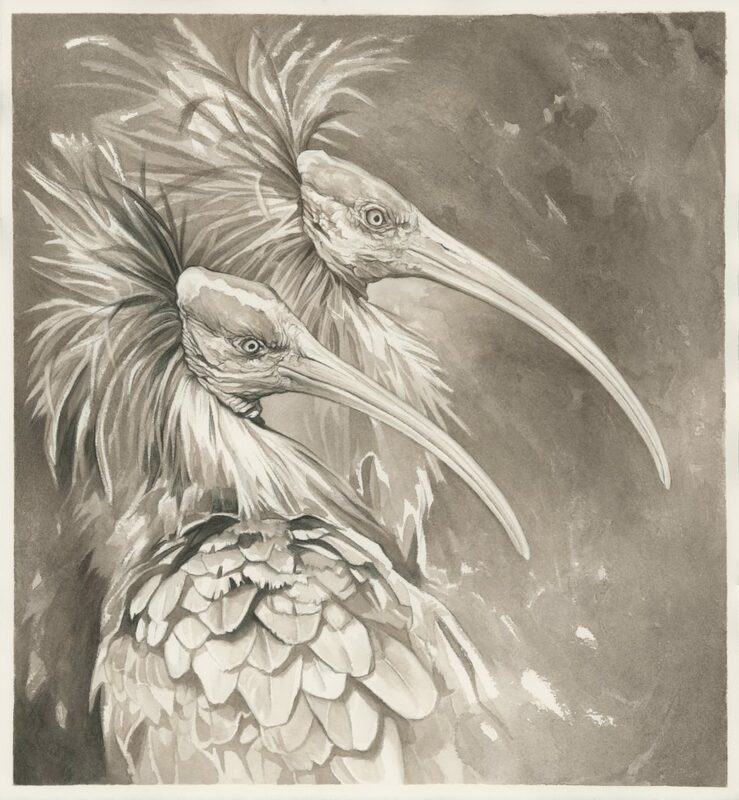 A few years later, she put most of her belongings in storage and started traveling to find and draw birds, a technique that didn’t rely on the damaging oils she was allergic to. Years later and Hamilton is still sketching. Today, Hamilton lives the life of an itinerant nature artist, giving talks at birding festivals, leading field sketching workshops, and traveling to exotic locales for far-flung birding adventures. Much of her work is funded through corporate sponsorships; she currently serves as an Ambassador for Birding for ZEISS Sports Optics, for example. 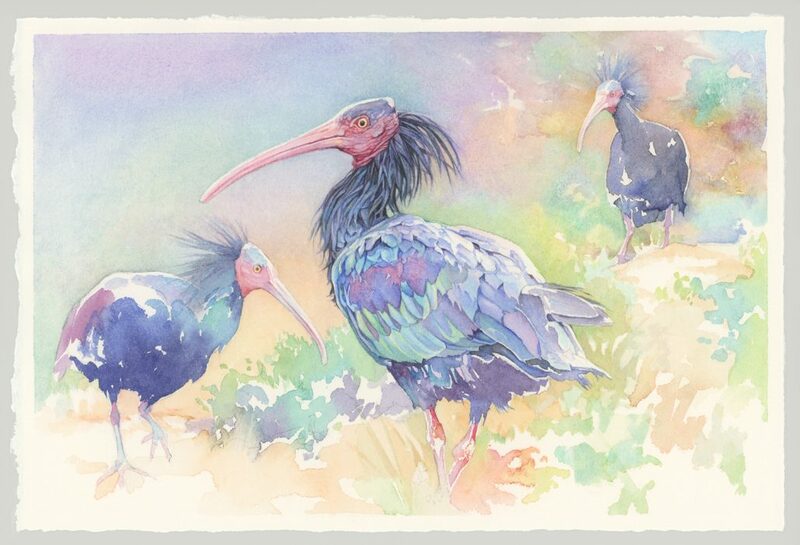 She recently returned from Morocco where she was painting some of the last wild colonies of the northern bald ibis, one of the rarest birds in the world. BirdLife International commissioned a short film on the project, “A Reason For Hope,” which is set to debut at this year’s British Birdwatching Fair. 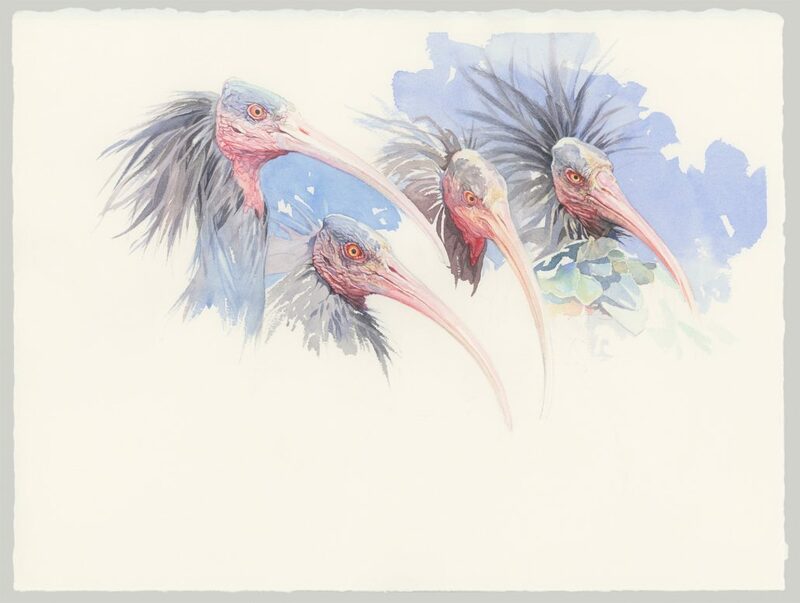 Hamilton recently traveled to Morocco to sketch the rare and critically endangered northern bald ibis. These sketches are a sample from that work, which was sponsored by ZEISS Sports Optics. Another of Hamilton’s adventures was recently featured in the Summer 2018 issue of Living Bird magazine. 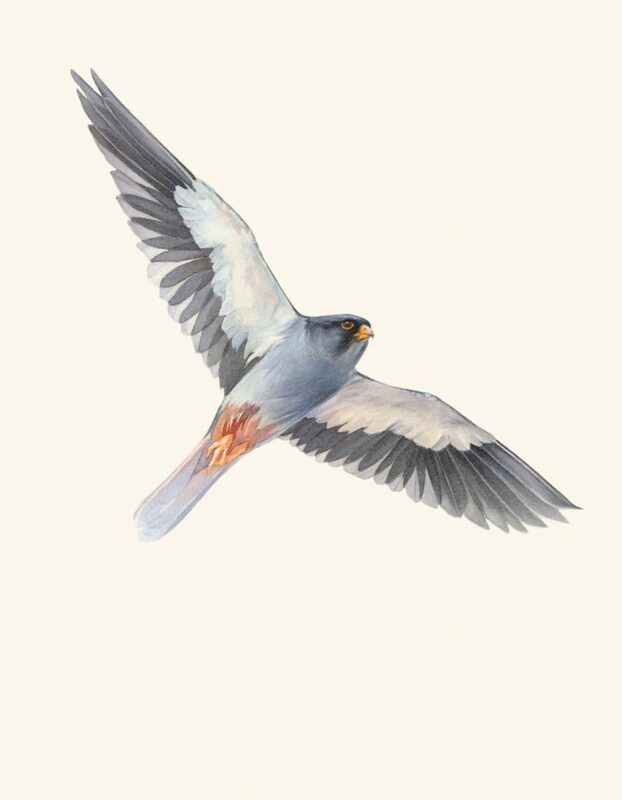 The feature recounts her journey to northeastern India’s Nagaland state to witness the Amur falcon migration. During her trip, she became the first western woman to visit the Pangti Village in Nagaland. Hamilton’s life is not what she pictured eight years ago when she had to stop painting, but she concedes that her life is pretty awesome. Hamilton is still able to exhibit her work regularly, both the illustrations that she’s known for and other fine art that she creates. 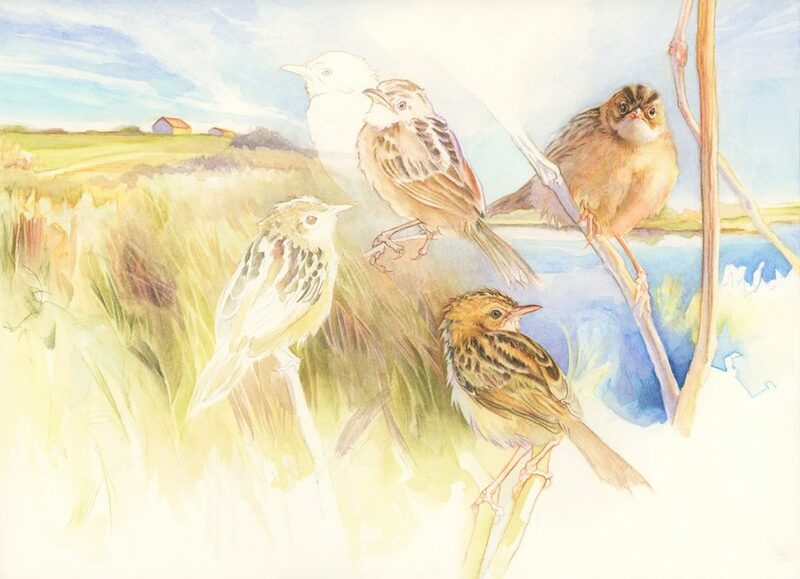 You can find her illustrations in the Princeton University Press Warbler Guide and follow her work through her Facebook page and website. 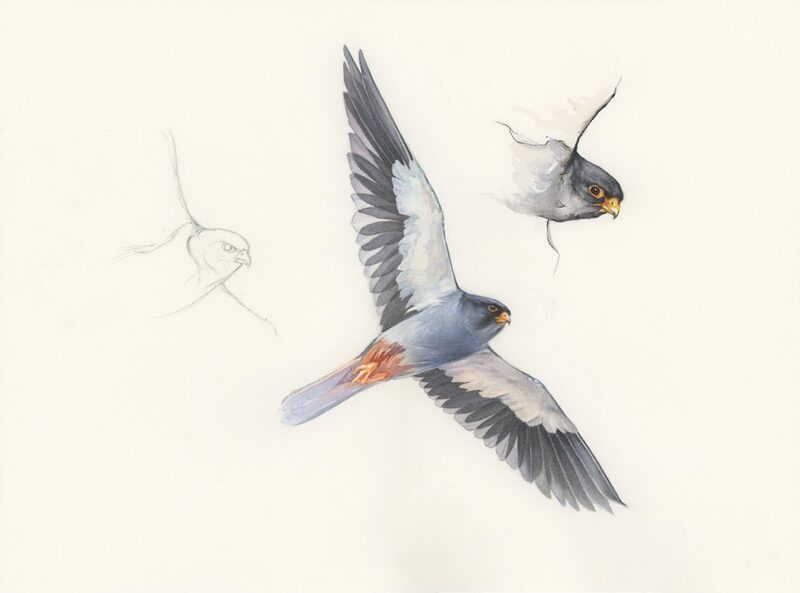 In 2017, Hamilton traveled to Nagaland state, India, with Living Bird magazine observe the annual Amur falcon migration and draw the fleet birds. All images courtesy of Catherine Hamilton.